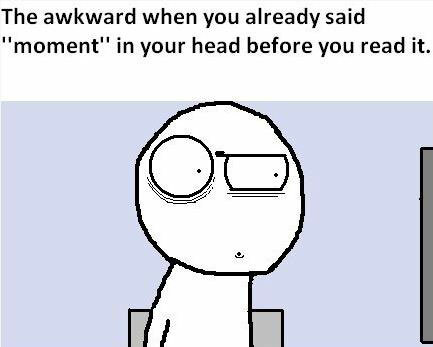 The awkward when you already said “moment” in your head before you read it. Created about 7 yrs, 5 mths ago (October 27, 2011). Updated about 7 yrs, 5 mths ago (October 27, 2011).